I work in algebraic geometry and number theory. Most of my research concerns curves, surfaces, and abelian varieties over finite fields or function fields. I am also interested in arithmetic over number fields and its interaction with geometry over the complex numbers. A lot of my early work was on modular forms and the associated Galois representations. See below for reviews and surveys. Where available I give a link to a (possibly restricted access) version that should be identical to the print version. The “local version” is either a pdf file produced from my original TeX files (which might differ slightly from the published version) or a pdf from the publisher. New Zealand Journal of Mathematics 47 (2017), 1-7. We construct families of curves which provide counterexamples for a uniform boundedness question. We show, in detail, what fails in the argument of Caporaso, Harris, Mazur that uniform boundedness follows from the Lang conjecture. We also give a direct proof that these curves have finitely many rational points and give explicit bounds for the heights and number of such points. Journal of Algebraic Geometry 26 (2017), 357-377. We prove that a very general elliptic surface over the complex numbers with a section and with geometric genus at least 2 contains no rational curves other than the section and components of singular fibers. Equivalently, if E is a very general elliptic curve over C(t) of height at least 3 and if L is a finite extension of C(t) isomorphic to C(u), then the Mordell-Weil group E(L) is trivial. Transactions of the American Mathematical Society 368 (2016), 8553-8595. We study the arithmetic of certain abelian varieties over global function fields in the system of Artin-Schreier extensions. 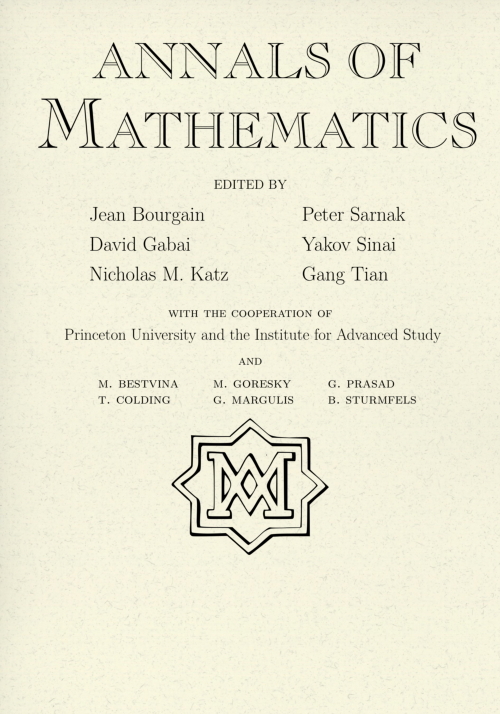 Findings include examples of unbounded analytic and algebraic ranks, formulae for ranks, new cases of the conjecture of Birch and Swinnerton-Dyer, and explicit points on Jacobians. These results generalize previous findings for the Kummer tower in our papers 2007b, 2013a, and 2014a-c-d. Proceedings of the American Mathematical Society 144 (2016), 2291-2299. We give a new formula for the Artin conductor of an \(\ell\)-adic representation of the Weil group of a local field of residue characteristic \(p\) not equal to \(\ell\). 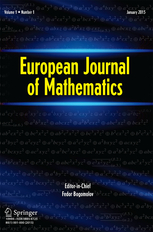 European Journal of Mathematics 1 (2015), 279-285. We consider superelliptic curves yd=f(x) over the complex numbers with f(x) a polynomial, and we show that if d is sufficiently large, then the “new” part of the Jacobian (new with respect to d) has no small-dimensional factors. This is in marked contrast to what happens over finite fields. Algebra and Number Theory 8 (2014), 2471-2522. In 2014a, we showed that the Legendre elliptic curve E has a subgroup V of explicit points over suitable extensions K of Fp(t) with large rank and finite, p-power index. In this paper, we compute E(K)/V and the the Tate-Sharevich group of E/K as modules over a group ring Zp[G]. This refines a class number formula according to which the index is the square root of the order of the Tate-Shafarevich group. 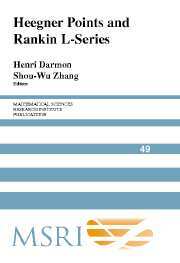 Mathematical Research Letters 21 (2014), 261-280. In 2014a, we showed that the Legendre elliptic curve over Fp(t) has high rank over extensions Fq(u) where ud=t and where d divides pf+1 for some f. In this paper, we compute the rank for all d in terms of the combinatorics of the action of multiplication by p on Z/dZ. We find that the rank is large for many more values of d than might be expected. 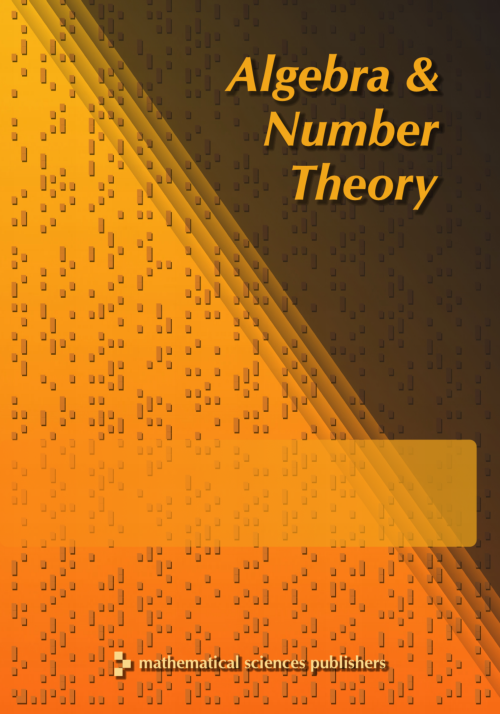 Journal of Number Theory 136 (2014), 165-194. We give a remarkably elementary construction of an elliptic curve over Fp(t) with explicit points generating a group of arbitrarily large rank. 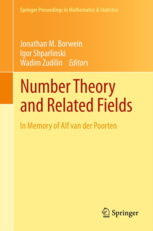 in “Number Theory and Related Fields In Memory of Alf van der Poorten”, (Springer Proceedings in Mathematics & Statistics 43) (2013), 253-270. We study the set of layers of the Kummer tower in which the Legendre curve has “new” points. Surprisingly, the well-known “supersingular” case is not the most frequent. 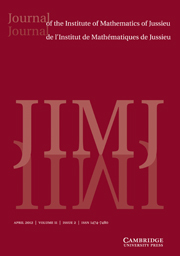 Journal of the Institute of Mathematics of Jussieu 12 (2013), 1-29. We study the arithmetic of abelian varieties over K=k(t) where k is an arbitrary field. The main result relates Mordell-Weil groups of certain Jacobians over K to homomorphisms of other Jacobians over k. Our methods also yield completely explicit points on elliptic curves with unbounded rank over Fpalg(t) and a new construction of elliptic curves with moderately high rank over C(t)$. New York Journal of Mathematics 18 (2012), 291-293. We give examples of sequences of smooth non-isotrivial curves of every genus at least two, defined over a rational function field of positive characteristic, such that the (finite) number of rational points of the curves in the sequence cannot be uniformly bounded. Mathematical Research Letters 17 (2010), 637-645. Let k be a field of characteristic zero and let K=k(t) be the rational function field over k. In this paper we combine a formula for ranks of certain Jacobians over K with strong upper bounds on endomorphisms of Jacobians to give many examples of higher dimensional, absolutely simple Jacobians over k(t) with bounded rank in towers k(t1/pr). In many cases we are able to compute the rank at every layer of the tower. Mathematical Research Letters 14 (2007), 453-467. We study several classes of abelian varieties over Fp(t) with bounded ranks in towers Fq(t1/d) where d varies through powers of a prime or all integers prime to p. An interesting step along the way is to prove that the new part of the Jacobian of a Fermat curve of sufficiently large degree has no factors of small dimension. This in turn comes from a result on the distribution of valuations of Jacobi sums. Correction: In Theorem 5.2, “\ell>3” should be replaced with “\ell>5”. See this note for further discussion. Inventiones Mathematicae 167 (2007), 379-408. The main result of this paper gives a construction of a large class of L-functions over function fields which have arbitrarily large order of vanishing at the central critical point. We also elaborate on a construction of a class of Jacobians over function fields (already implicit in ) which satisfy the conjecture of Birch and Swinnerton-Dyer. Combining the two results gives explicit hyperelliptic curves whose Jacobians have arbitrarily large Mordell-Weil rank. We also prove several other results about large analytic and algebraic ranks of abelian varieties over function fields. Inventiones Mathematicae 159 (2005), 133-186. We prove a very general non-vanishing result for twists of L-functions associated to Galois representations over function fields. The word “geometric” in the title refers to the fact that algebro-geometric techniques play the main role, as opposed to the automorphic techniques usually involved in non-vanishing results. The motivation for considering the question came from applications to the Birch and Swinnerton-Dyer conjecture; in particular, this article reduces the BSD conjecture for elliptic curves over function fields in the case where the L-series vanishes to order at most 1 to a relatively mild version of the Gross-Zagier formula. in “Heegner points and Rankin L-series,” MSRI Publications 49 (2004), 285-315. This article is the conjunction of a survey article on one topic and a research article on another loosely related topic. The research part explains some questions related to ranks of elliptic curves in various towers of fields which were motivated by the last part of 2002 and well-known analogies. There has since been interesting work by Silverman, Ellenberg, and others related to the case of towers of function fields over number fields. We show the existence of non-isotrivial elliptic curves of arbitrarily large rank over any function field over a finite field. Except for the “non-isotrivial” this was shown long before by Tate and Shafarevitch, but the non-isotrivial examples are considered (by some) to be much more compelling evidence for the analogous question over number fields. The curves in question show that bounds for ranks in terms of conductors due to Brumer following Mestre are sharp. This paper exploits the results of 1996a to give congruences between forms of level pN and weight > 2 and forms of level 2, including a curious relationship between the leading terms of the p-adic expansions of the Up eigenvalues of the forms which brings in the slope (p-adic valuation) of the higher weight form. This leads to a complete description of the local mod p Galois representation attached to certain non-ordinary forms of higher weight. Barry Mazur suggested, and the author and Breuil confirmed in weight 3 (unpublished), that there is a purely local, Galois representation-theoretic explanation for the latter result. The aim of this paper is to improve the results of 1995a by computing the highest polygon with integer slopes which lies on or below the Newton polygon of the Up operator. The results ultimately boil down to fine information on certain crystalline cohomology groups obtained via cohomology of exact and logarithmic differentials. For the universal elliptic curve E over the function field K of a modular curve over a finite field, this paper constructs a Zp-submodule of the group of local points E(Kv), for a suitable place v, which has rank equal to the order of vanishing of the L-function at s=1 and which contains a finite index subgroup of the global points E(K). It is tantalizing problem to characterize the global points among these explicitly constructed local points, since this would give a completely new construction of global points on elliptic curves over function fields. Many of the ideas of this paper can be transferred to a much more general, non-modular, situation (to be written). The paper also shows that the Birch and Swinnerton-Dyer conjecture implies the semi-simplicity of the action of certain Hecke operators on modular forms of weight 3. Coleman and Edixhoven (Math. Ann. 310) later generalized this, replacing BSD with the Tate conjecture, to higher weights. This paper studies the p-adic valuations of the eigenvalues of the Hecke operator Up on modular forms of level divisible by p and weight between 2 and p+1. The results are stated in terms of Newton and Hodge polygons and they say roughly that the eigenvalues of Up are more divisible by p than one might a priori expect. The results are compatible with, but nowhere near strong enough to prove, conjectures of Gouvea and Mazur on p-adic families of modular forms. Conceptually, the proof is a simple consequence of Scholl's ideas on motives for modular forms and a motivic variant of the Katz conjecture on Newton and Hodge polygons associated to crystalline cohomology, but there are messy technical difficulties related to the cusps which are resolved using log schemes. Although it appeared earlier, this paper is a continuation of 1995a and 1996a. It extends the results of 1995a to all weights and explains what is needed to do the same for 1996a. This would be enough to prove conjectures of Gouvea and Mazur on the number of eigenforms whose Up eigenvalue has a given p-adic valuation. J. Wahl proved that if a curve C admits an embedding into a K3 surface, then its Gaussian map (taking pairs of holomorphic 1-forms to sections of the tri-canonical bundle) fails to be surjective. In this paper, we prove the converse for curves of genus 10 (the first interesting case). A key point is a partial computation of the classes in the Picard group of the moduli space of the divisor of curves where the Gaussian map is not surjective and the divisor of curves embeddable in a K3. A more complete calculation of the latter class was recently carried out by Farkas and Popa (J. Alg. Geom. 14), leading to a counterexample to the Harris-Morrison slope conjecture. The first part of the paper is devoted to computing the Selmer group for the multiplication-by-p isogeny on an elliptic curve over a global field of characteristic p in terms of the arithmetic (differentials and the Cartier operator, p-torsion in the Jacobian) of the base curve. Ultimately a rather detailed knowledge of the group scheme Ker(p) is required. In the second part of the paper, these tools are applied to the universal elliptic curve over an Igusa curve studied in 1990a. Elements of the Selmer group predicted by the L-function computation of 1990a and the BSD conjecture are constructed using modular forms modulo p. Correction: On page 241, 4 lines from the bottom, “, III.7.5” should be “, III.7.5”. Another error pointed out by Voloch is corrected here. This paper gives a computation of the Hasse-Weil L-function of powers of the universal elliptic curve over the function field of an Igusa curve in terms of modular forms. In 1990a this type of result was proven using “point counting” and the trace formula whereas this paper uses étale cohomology and results of Katz and Mazur to obtain a much more general statement. A definition of the Hecke operator Up for primes p dividing the level is given which has seen other uses (e.g., Faltings-Jordan, Israel J. Math. 90). Igusa curves appear naturally as components of the reduction of modular curves at primes dividing the level. This paper studies the arithmetic of the universal elliptic curve over an Igusa curve, viewed as an elliptic curve over the function field of the base curve. In particular, its Hasse-Weil L-function is computed in terms of modular forms and a systematic source of zeroes of the L-function is exhibited. Other arithmetic invariants of the universal curve are computed and in some cases the Birch and Swinnerton-Dyer conjecture is verified. To date, there is no known construction of the systematic supply of rational points predicted by the L-function computation and the BSD conjecture. 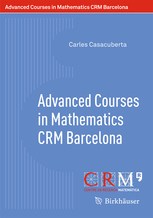 in Arithmetic Geometry over Global Function Fields, Advanced Courses in Mathematics CRM Barcelona (2014), 283-337. These are the notes from a course of twelve lectures in February 2010 at the Centre de Recerca Matemàtica in Barcelona. The focus is on curves of any genus over function fields over not-necessarily finite ground fields, with emphasis on rational points on the Jacobian. We also explain various constructions of Jacobians with large Mordell-Weil rank. in Arithmetic of L-functions, IAS/Park City Mathematics Series 18 (2011), 211-280. These are the notes from a course of five lectures at the 2009 Park City Math Institute. The focus is on elliptic curves over function fields over finite fields. In the first three lectures, we explain the main classical results (mainly due to Tate) on the Birch and Swinnerton-Dyer conjecture in this context and its connection to the Tate conjecture about divisors on surfaces. This is preceded by a "Lecture 0" on background material. In the remaining two lectures, we discuss more recent developments on elliptic curves of large rank and constructions of explicit points in high rank situations. in Ranks of elliptic curves and random matrix theory, London Mathematical Society Lecture Note Series 341 (2007), 109-142. This is a survey article written for a meeting at the Newton Institute in which I try to explain how families of zeta- and L-functions over function fields give rise to equidistributed collections of matrices in classical groups. It starts with very basic material on algebraic geometry and then uses much more sophisticated tools (e.g., étale cohomology), basically as a black box. There are no proofs but many explicit examples. in Heegner points and Rankin L-series, MSRI Publications 49 (2004), 285-315.